Test your memory with this fun matching game. 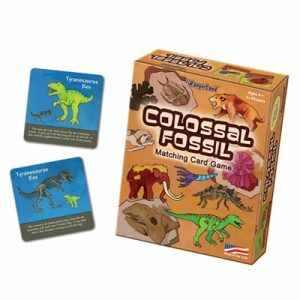 Match the prehistoric animals to their fossils, gather the most pairs and win the game. Instructions included for multi-players, individual players and younger players. Card size – 3″ x 3″. 2017 Creative Child Magazine Preferred Choice Award Winner.